April 7, 2019  Record rainfalls over the past two weeks have killed people across 13 provinces. Forecasters expect heavy rain to continue over the next few days, forcing the evacuation of regions bordering Iraq. January 13, 2016  Al-Jazeera America has been plagued by problems from its inception. The network never quite connected with American audiences, and internal tensions spilled onto the press. July 30, 2015  The network said it was "outraged" that the court had been adjourned. 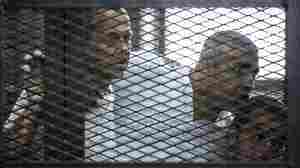 The three journalists had been jailed for allegedly aiding the Muslim Brotherhood. 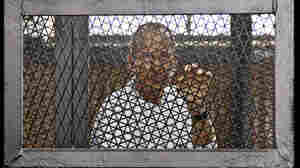 February 1, 2015  Australian journalist Peter Greste was detained in December 2013 and imprisoned in June. He is being deported, but the fate of his two colleagues is unknown. January 1, 2015  The court tossed the men's convictions, but it did not order their release. It's unclear when a new trial would start. 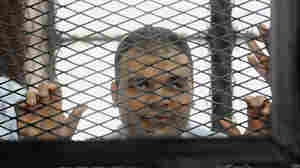 June 23, 2014  Three journalists who work for Al-Jazeera have been sentenced to prison terms — two for seven years and a third for 10 years — by an Egyptian court. The three men were accused of aiding terrorists. January 29, 2014  Canadian-Egyptian journalist Mohamed Fadel Fahmy has been accused of running a terrorist cell with the help of four foreigners; allegations the news agency calls "baseless and false." The case has shown just how far Egypt has backslid on the goals of an uprising that began three years ago this week. 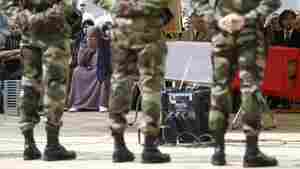 September 16, 2013  Images on Al Jazeera of brutalized Americans in Iraq understandably still trouble some listeners, but NPR's acceptance of sponsorship support from the new Al Jazeera America fall well within free speech and ethical standards. 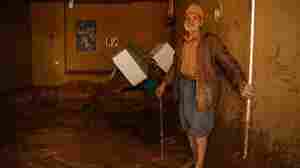 Al Jazeera itself brings a valuable international voice into our living rooms. 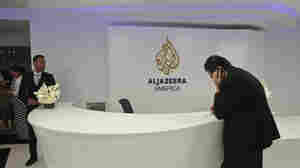 January 2, 2013  The acquisition gives Al-Jazeera, which is financed by the Qatari government, access to an American TV audience. The new channel, Al-Jazeera America, will be based in New York. March 27, 2012  Al Jazeera receives an edited copy of the murders of French soldiers and four people, including children, at a Jewish school. The network has decided not to air the tape and will not share it, saying it doesn't meet ethics standards. 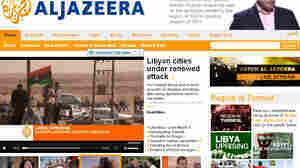 January 8, 2008  Has Al Jazeera changed its tone?